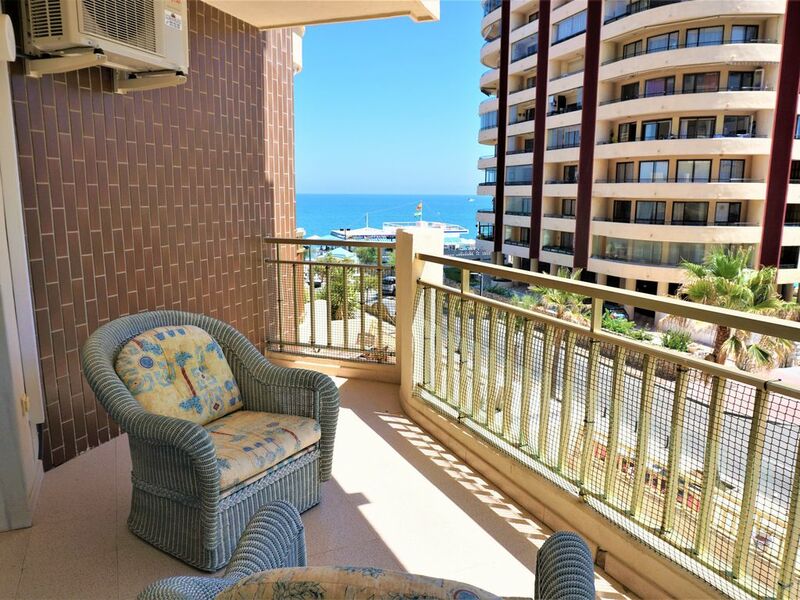 Magnificent apartment located in one of the best areas of Fuengirola beachside. 2nd floor facing south and west. The complex stands out for its proximity to the beach its large parks, garden areas tranquility and security. The house stands out for its luminosity its magnificent sea views and terrace. It is fully furnished and equipped. Do not hesitate and make your reservation !!! Magnificent residential area in Fuengirola, next to the beach but in turn only 5 minutes walk from downtown. Myramar Eroski shopping center is just 5 minutes. The beach right in front of this property has available hammocks, beach bars and water sports. The area is one of the best in Fuengirola, its strategic position for access to the highway and easy access to the highway. Fuengirola Riverside Park is just 1 block from the building and offers exercise equipment and boats, various entertainment shows and all this situated in the foothills of the castle Sohail, where there are several shows in the summer.